This specialty 5-week course is specifically focused on developing your inner resources for dealing with physical pain. We’ll be covering simple and effective techniques drawn from Zen and other East Asian traditions that will assist you in dealing with physical pain and the stress and difficult emotions associated with it. This course is not meant to be a replacement for any pain medication or pain treatment that you are currently taking. 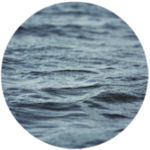 There is, however, a large body of research and testimonials which suggest that mindfulness practice, when it is used as a complement to modern medicine, can be a tremendously beneficial form of working with physical pain. 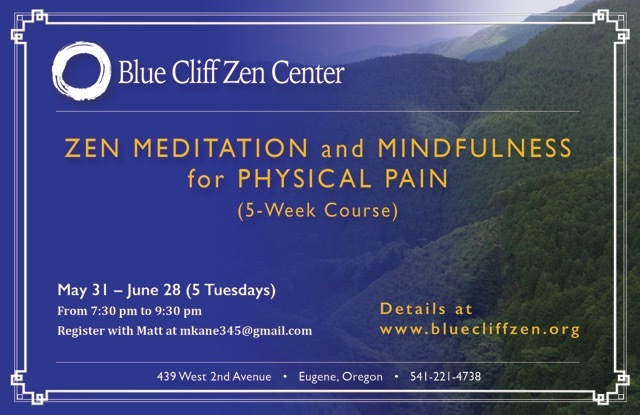 This course is geared towards anyone interested in personally managing physical pain and to anyone generally interested in the subject of mindfulness and pain.